Animal Wildlife | Cuttlefish | Cuttlefish are found in large numbers throughout the world's ocean waters from the warm, tropical shallows to the cold depths of the deep ocean. 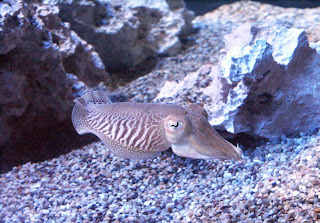 Cuttlefish are well known for the "flashing" colours that are displayed on their bodies during fighting and mating. In the same way as squid and octopuses, the cuttlefish also has an ink sack which ejects ink in order to fool oncoming predators. The cuttlefish is a small-medium sized mollusc that is found throughout the ocean waters of the world. In the same way as their squid and octopus relatives, cuttlefish have a large, elongated body with tentacles surrounding their mouths. There are 120 known species of cuttlefish found across the globe which vary in size from just 15 cm to the Australian giant cuttlefish which is often half a meter in length (not including its tentacles) and weighs more than 10kg. The cuttlefish is a carnivorous animal that primarily preys on small crustaceans such as shrimp and crabs, but the cuttlefish also eats alot of fish. 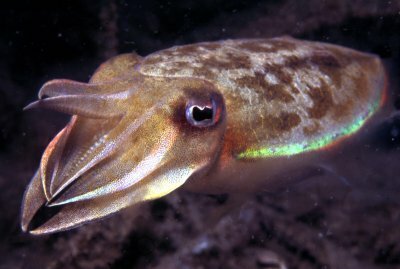 The cuttlefish uses its ability to change body colour to hide itself, before catching its prey with the sucker-pads on the end of its long tentacles which bring the prey into the sharp beak of the cuttlefish. 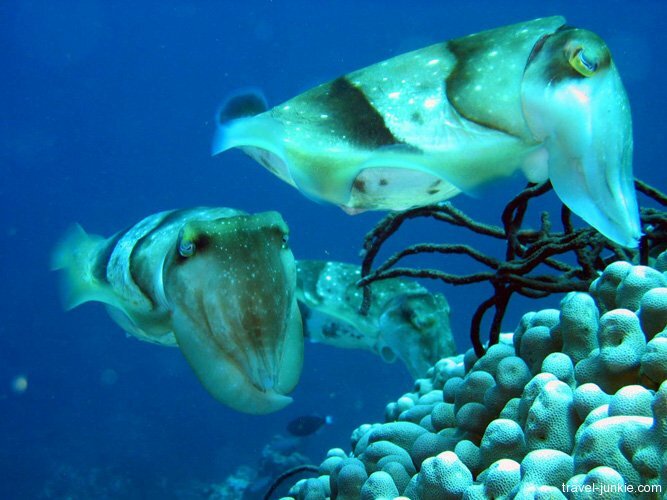 Due to the generally relatively small size of the cuttlefish, there are numerous marine predators that hunt them. 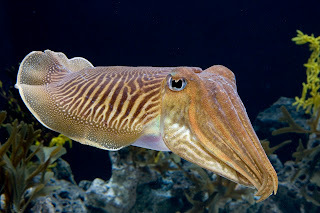 Large fish, sharks and even other cuttlefish (sometimes of the same species) are the most common predators of the cuttlefish along with humans who hunt the cuttlefish around the world. During the mating season, male cuttlefish change their body colours in order to successfully attract a female. 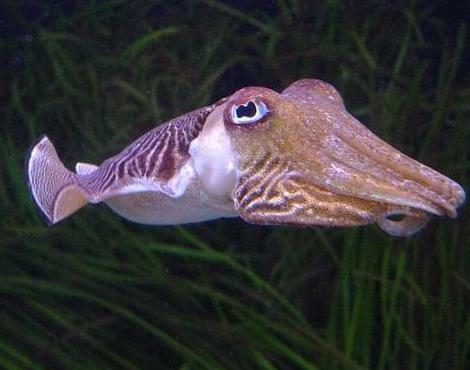 Some male cuttlefish have even been known to make themselves look like female cuttlefish in order to trick the dominant males and stealing their mates. The female cuttlefish lays around 200 small eggs and sadly dies soon afterwards.